Proper nutrition in the first year of life serves as the Foundation of a strong health baby. It is very important to the rapidly growing body is getting all the necessary vitamins and trace elements balanced and in full. Therefore, in the first year of a child's life, you must develop the habit of eating regime. This will ensure the timely secretion of gastric juice and helps to avoid problems with digestion. What should be the mode of the day a 10-month-old baby? For a newborn child optimal nutrition is milk of his mother. If the diet of nursing moms comprise a sufficient amount of nutrients the baby will receive them in full. In the first few weeks of life it is undesirable to impose a strict regime, it is better to give the breast on demand. Adapting to the world around them will be easier. Over time, the child himself will choose the optimal power schedule. When mixed or artificial feeding method to feed the baby every 3 hours. But here much depends on the characteristics of the organism of the newborn. Intervals between feedings may shift in one direction or another. It is important to monitor the health of the child and to choose the mix that best fits its needs. In any case it is impossible to offer the remaining mixture again. For each feeding a new food. 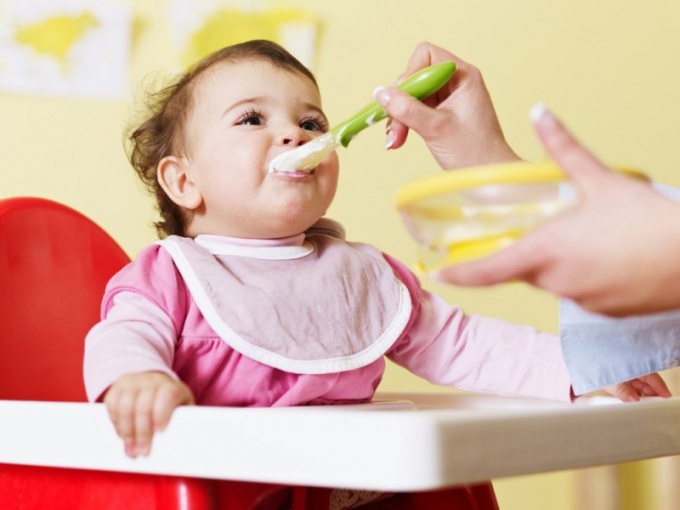 At the age of 5-6 months baby solid foods are introduced and there is a smooth transition of the change of diet. In this process the main condition is gradual. Every new product should be administered with caution and closely monitor the state of the baby. This approach will help prevent potential digestive upset and allergic reactions. At the same time, it is necessary to adjust the intervals between meals, which should be 4-4. 5 hours. There are General guidelines for the introduction of complementary foods, but it is advisable to consult with your doctor about which product is best for your child as the first adult meal. Because the body of each baby is individual. If, despite the obvious usefulness of any product, his child refuses, do not insist. Better to try again in a couple weeks. Perhaps the taste preferences of the baby will change and he'll be happy to try the suggested food. To the first day of birth the child's diet becomes extremely varied. It includes fruit and vegetable purees, cereals, juices, shredded the meat. However, all this does not mean that the baby can eat food from the common table. Fried potatoes, spicy seasonings, smoked sausage and other luxuries adult food will not bring the child nothing but harm. His digestive tract is not yet ready to such loads, so the baby food should be prepared separately. When properly organized diet the baby grows up strong and healthy to the delight of mom and dad.